Collections: Coins, Stamps, Sports Cards, Etc. Vehicles, Boats, Motorcycles, ATVs, Campers, Trailers, Lawn Equipment, Etc. As Well As The Normal Furniture, Kitchen Items, Household Items, Yard, Garage & Barn Items, Etc. If You Have Any Questions Please Don’t Hesitate To Call Epic Auctions and Estate Sales, Inc. at 517-927-5028 and Bob will be Happy To Assist You. An estate sale is a great option when the majority of the items in a home need to be sold, and the total value is greater than $8,000. Instead of dealing with all that comes with estate sales yourself, consider reaching out to qualified and professional estate sale specialist who knows how to maximize your profit. Here are just a few ways estate sales and appraisal services can help you. The experienced Estate seller has the appropriate portable shelving, tables, display racks, tabletop showcases and linens to properly present your merchandise. As in any store, and this becomes an estate store, proper display is important to maximize total sales. One of the most difficult aspects of estate sale is determining exactly how much each item should be priced. The age and condition of the item has to be considered and the brand of the item also affects its pricing. An estate sale professional will take the time to examine and appraise specific items individually. This ensures that you’re maximizing your potential profits and not selling valuable merchandise at garage sale prices. The average heir is not experienced in values and can often be seen throwing away valuable paper, clothing and wood. Long gone are the days where a classified ad in the local paper will adequately promote your estate sale. The computer and internet have changed all of that and estate sale attendees have specific sites they search to find your treasures. In addition, specialized items are seen across the country with professional estate sellers having customers come and or call from afar. These out of town sales are an important part of the whole in maximizing your sale. Often when people plan and hold their own estate sales, they often overlook the minor details — not the least of which is having to deal with hagglers. It’s simply too easy for DIY-ers to say ‘yes’ to a buyer asking for a deal just because they want to make the sale and get rid of the item. Professional estate sellers, on the other hand, are experienced in dealing with hagglers, often for hours and hours on end. They won’t sell the item until somebody is willing to pay what it’s worth. Most experienced estate sellers have cash registers or appropriate computer software to keep a record of every sale made during the estate sale experience. This record keeping can allow heirs who add things to the estate to have their items properly accounted for as well as assure the itgrityn of the sales process. Every sale will have something leftover. Yours will not be an exception. The professional estate sellers know what, when and how to take care of the merchandise left over from your successful sale. Most frequently they will sell the remains in bulk which is far better than having you pay someone to haul it away as trash. Ultimately, there are more than 15,000 estate sale companies working across America. Working with an experienced professional usually is the best way to get the money you deserve. When it comes to your family’s estate sale, planning can be overwhelming and stressful. 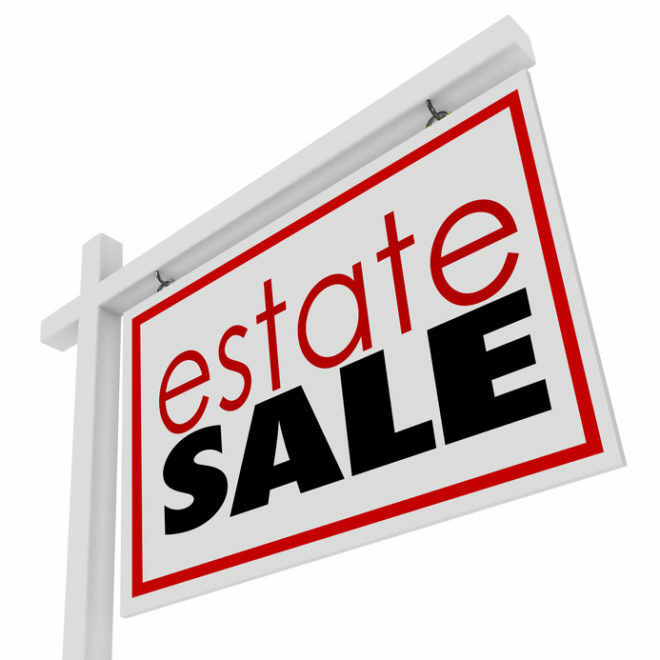 Choosing an estate sale company may be challenging, however, it can ultimately relieve days and months of stress. Here are some helpful tips for choosing an estate sale company. Many times, people go with the first company they find. In reality, there are more than 15,000 estate sale companies working across America, and you should investigate the companies in your area. Visit their web pages. Call some to find out about the different services they may offer. Don’t assume that the company that offers you the lowest price is the best deal. Choosing a company that charges a lower percentage doesn’t necessarily mean that you’ll make more money yourself. Companies with more experience with estate appraisal services can often make you more money even if they charge a higher percentage. Since they’re more aware of values and have a larger following they are able to get more money for you estate. This may sound similar to the first tip, but it’s more in-depth. Once you think you’ve found the right company, check their reputability. References can be helpful.It’s often a good idea to visit one of the estate sales organized by the company. Visiting one for yourself can give you a look into the process and how things will turn out. This should be anonymous, but watching the company in action is often the best way to gauge how successful they’ll be in dealing with your particular estate. Also see how busy they are. the busier the better. 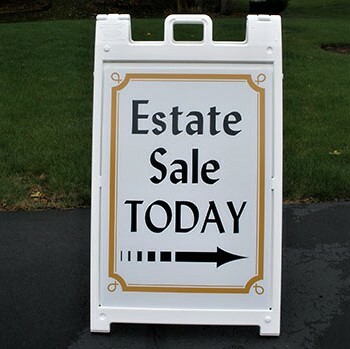 It is typically a sign of community support of their estate sale service. Contracts may be long and tedious, but in situations like these, it’s important to read every last word of it. The contract should clearly state important details such as the date of the sale, the percentage the company is charging, when you’ll get paid, and more. Ask questions. It is difficult to cover every possible situation in an agreement , however, never hire a company without signing a contract that you fully understand. Estate sales can be stressful to the heirs, but selecting a reputable company allows the sale to go as smoothly as possible. For more information about estate sales, contact Epic Auctions and Estate Sales. We provide free consultations to any new or returning clients. Just give us a call at 734-320-9627 to set one up today!